Subscribe to download for free the book + with additional checklists. RedBull. Apple. Elon Musk. Lil Miquela (and she’s not even real). Other social profiles look great. But how about yours? If you think your socials could use no improvement we’ve got nothing to teach you. But if you feel you could take it up a notch, keep reading. Copywriting for social media seems easy for others. For you it’s hard. And you feel trapped. But, doesn’t everything seem hard before you learn to master it? Well, here’s your chance to learn to master writing techniques and take your social profile to the next level. This complex, yet easy to understand guide provides the knowledge you need in order to get the social power you’ve always dreamt of. Knowledge is power. And power lies in the hands of the wise. There’s a formula behind every storytelling, every social media post. The trick is discovering which one works for you in one particular moment with a specific audience. The idea is to always write with your audience in mind. Whether you presenting a product or appealing to your reader’s emotions, you need to know how to engage with your audience. Your role as a copywriter is to connect your product’s features to your audience, to make it resonate with them. And, writing copy that highlights the benefits as well, will help make those connections. Copywriting is not about simply taking a wild guess at what people want. It is about listening, paying attention to the language your audience uses and build that language into high-converting copy. The best copywriters do a lot of research to find the most important characteristics of their products. They also try to discover the pain points of their consumers, and the words people use to describe their problems, their interests. Humor can be a really great way to reveal the story behind your brand – basically, the human side of your brand. If you manage to do that with some clever humor, people will enjoy to get to know you while also having a good laugh on the side. But, how can you be sure you are using humor the right way? When going for competitive marketing, try to always focus on the benefits your company, your product or your services provide. There’s obviously a risk in approaching competitive marketing. But, there’s a positive side to it as well. What’s the positive side and how should you approach competitive copywriting? Before you write your call-to-action, the most important thing you need to do is to figure out what exactly is the action you want the reader to take. When you know what the action is, you can write the call to action. How do you write a CTA the right way? Well, that’s where mastering call-to-actions comes in handy. Regardless of the power words you are choosing to use, you need to have a specific intention behind everything you write. Otherwise, you will just write power words that will lead you nowhere. This chapter will help you find the power words that motivate people and set the right tone to your copy. The importance of visual content in social media is undeniable. The great value of visual content marketing is its ability to tell a story really quickly and to share information in a way that is easily remembered by the readers. Why is this important? Because, visual objects carry emotion, and they can reach your audience in ways the written word cannot. And in this chapter we’ll show you how to do just that. Be bold. Experiment with different versions of your copy and see what works and what doesn’t. Discover how to stand out from the crowd – there is a huge potential audience waiting for you to make your mark on social. So here, we’ll give you some final tips on how to write post captions on social media. Nobody has enough time to do it all when it comes to managing the social media platforms. 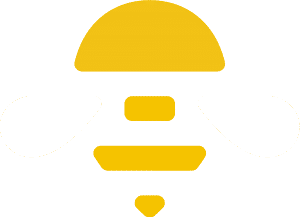 By using the SocialBee content management tool you’ll be able to manage your content efficiently. 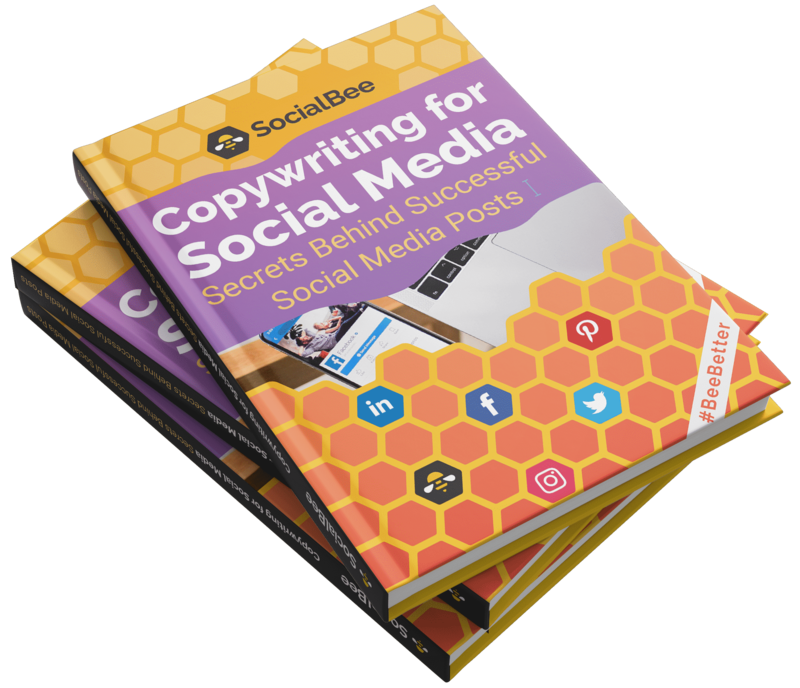 Oh, and once you’ll try the SocialBee tool, you’ll never want let go of it. In this chapter, we’ll show you why. 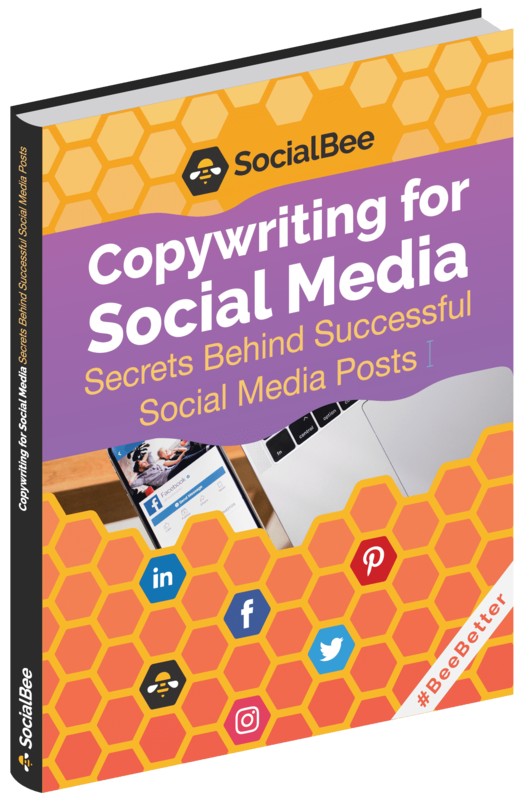 So, basically what you’ll learn here is how to create successful content using the best copywriting tips and formulas, headlines, CTAs, power words, humor, and more, in a way you’ll eventually manage to transform your reader into your buyer. The good news: this guide is full of tips and tricks that will help you out. And we’ll take it one step at a time. Download for free the book + with additional checklists.